Well come check out this wonderful top Southeast family travel destinations that, best of all, is FREE to enjoy! Read more about Edisto Memorial Gardens on my previous post. Have an awesome family time visiting the South Carolina parks and gardens! Edisto Memorial Gardens: imagine 150 acres filled with roses, azaleas, camellias and many other floral beauties spaced among Yoshino cherry, giant oaks and century old cypress trees. This is as close to Eden as you can ever get. And is FREE for everyone to enjoy! 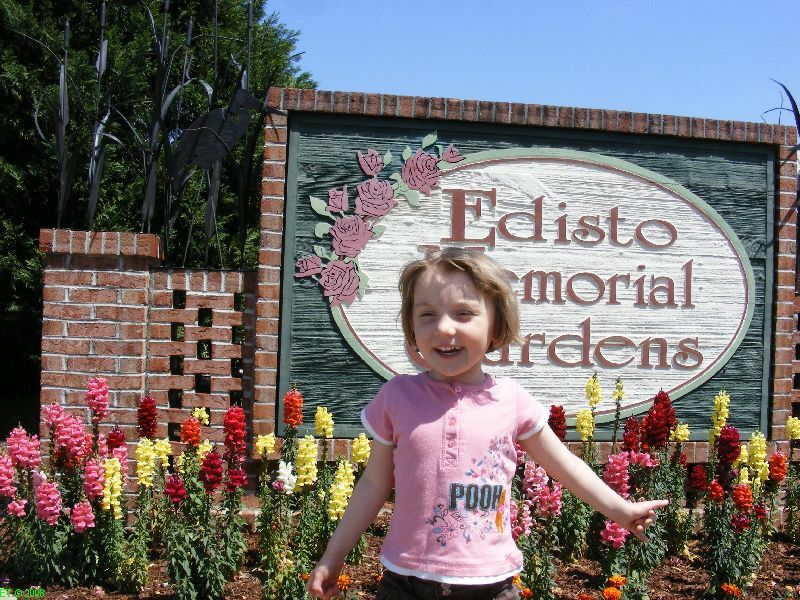 Located in Orangeburg, “The Garden City”, and easily accessible from I-95 and I-26, the Edisto Memorial Gardens is a must see family attraction on your way to Charleston, Hilton Head or Savannah. My 3 years old and I did just that this past weekend and we had a blast at the prestigious Festival of Roses, one o the top tourist events in the Southeast. It really made our trip to Beaufort much more enjoyable. from the All-America Rose Selections, Inc. There are 4,000 plants representing over 75 varieties of roses. 2. Take a stroll along the 2,600 feet boardwalk through scenic Horne Wetlands Park. This takes you into Tupelo/Cypress Swamp along the North Fork of the Edisto River. Edisto is the world’s longest black water river crossing eight South Carolina counties all the way to the Atlantic Ocean. 3. Admire the peaceful Water Wheel, the most photographed feature at Edisto Memorial Gardens, added in 1941 to supply water to the nearby pond. 1. 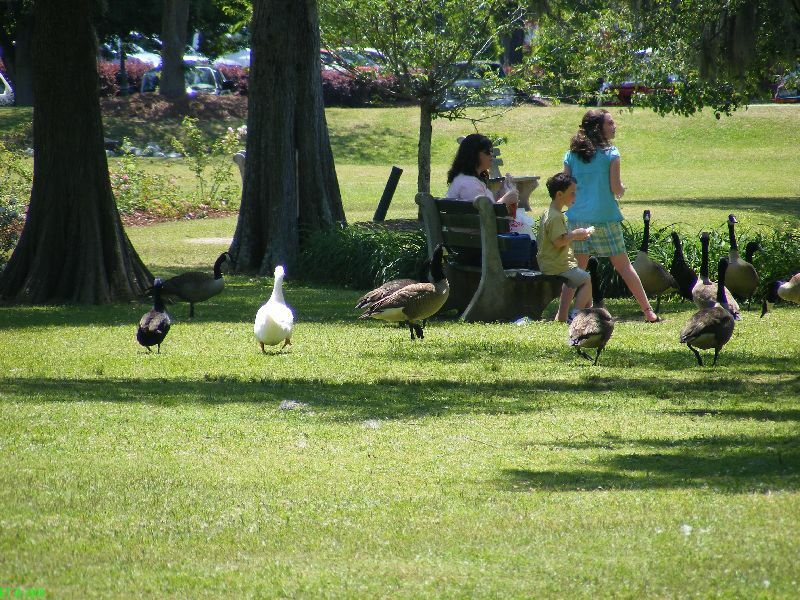 Feed ducks and geese at the pond located by the park entrance. This is a real kids magnet! 2. Splash at the Water Spray Park, a 6,000 sq. feet spray pad, playground, picnic shelter and restrooms. The park is open in the weekends in May and September and all week long in the summer. 3. Live the fairy tale during the Holidays at the Children’s Garden Christmas. 1. Test your skills at the 18-holes disc golf course located behind the Test Garden. 2. Picnic and take beautiful family photos at the Centennial Park in front of its impressive palmetto tree fountain. 3. 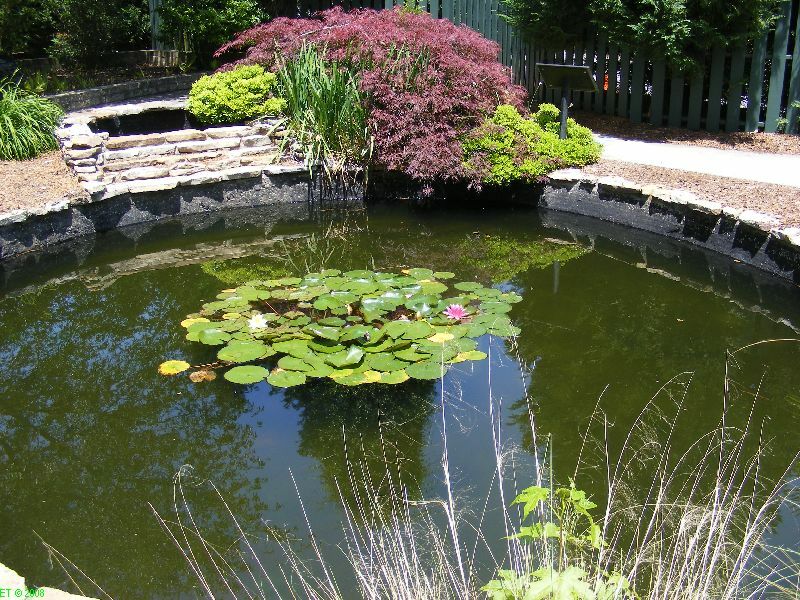 Enhance your senses at the very romantic Sensory Garden a favorite spot for all “love birds”. It features plants with distinctive texture and fragrances and described by plaques in both English and Braille. The only negative I found is the amount of litter throughout the park. I hope this is a temporary glitch mainly due to the large crowds visiting the Festival. Edisto Memorial Gardens is located on Highway 301 four blocks from downtown Orangeburg. The garden is open year around seven days a week from dawn to dusk. 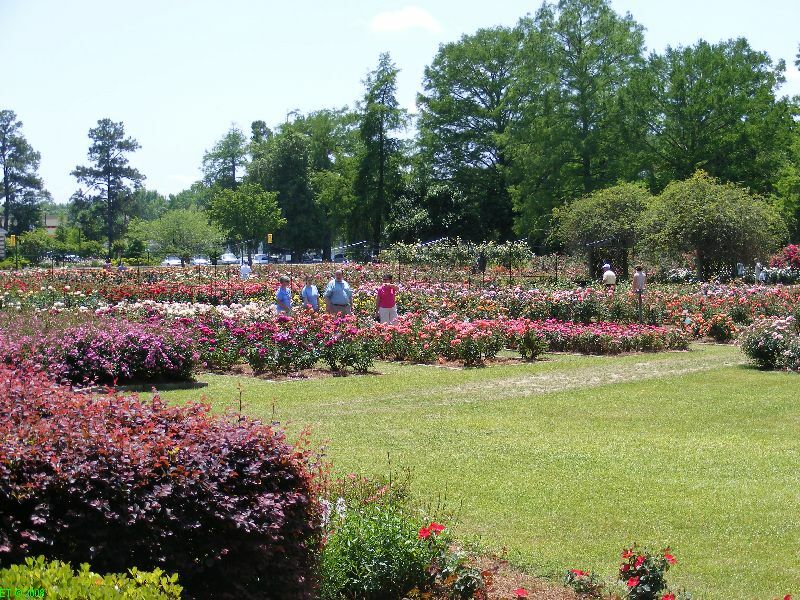 Bring your loved ones and smell the roses at Edisto Memorial Gardens!